The opium poppy is cultivated in different parts of the world such as Tasmania, India, Pakistan, Slovakia, France, Spain, Yugoslavia and Italy. The fruits of the poppy are rounded capsules. The liquid (milky latex) obtained after lancing the capsules contains opiates which are dried to produce raw opium, used for processing medicinal drugs such as codeine and morphine. 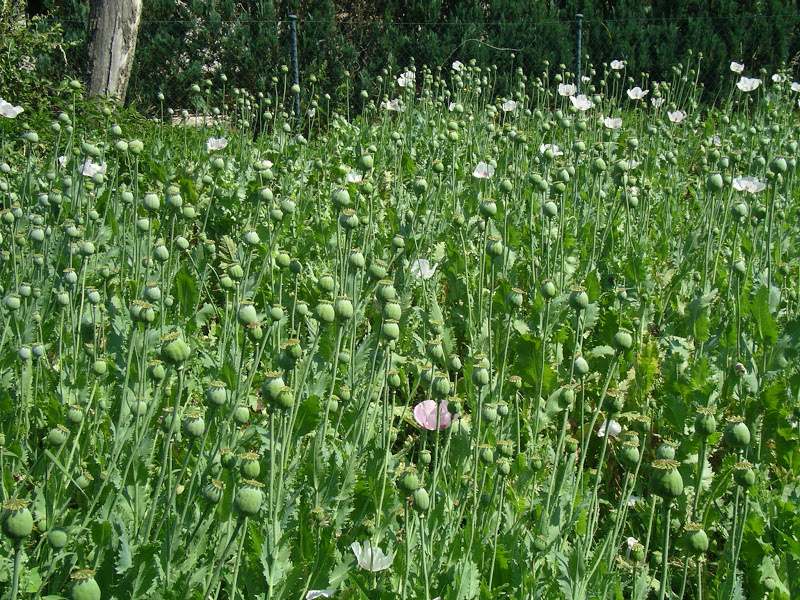 The commercial production of opium poppies is adversely affected by uncontrolled weeds, insects and disease organisms. Commercial growers rely on pesticide applications as described in a recent article about poppy growing in Slovakia. “The cropping system of poppy has seen important changes in recent years. 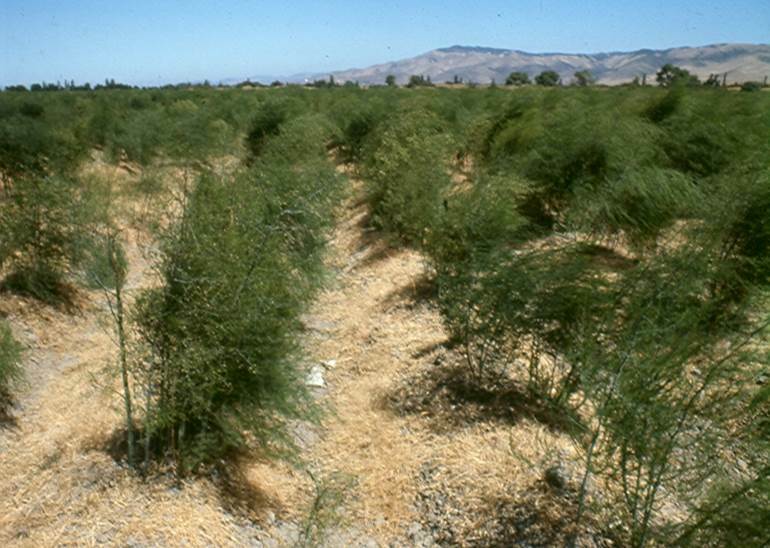 In the past, growing this crop required a great deal of manual labor connected with singling, hoeing and particularly capsule collecting. At present, all operations of the large scale cropping system, from sowing to harvest, are fully mechanized. 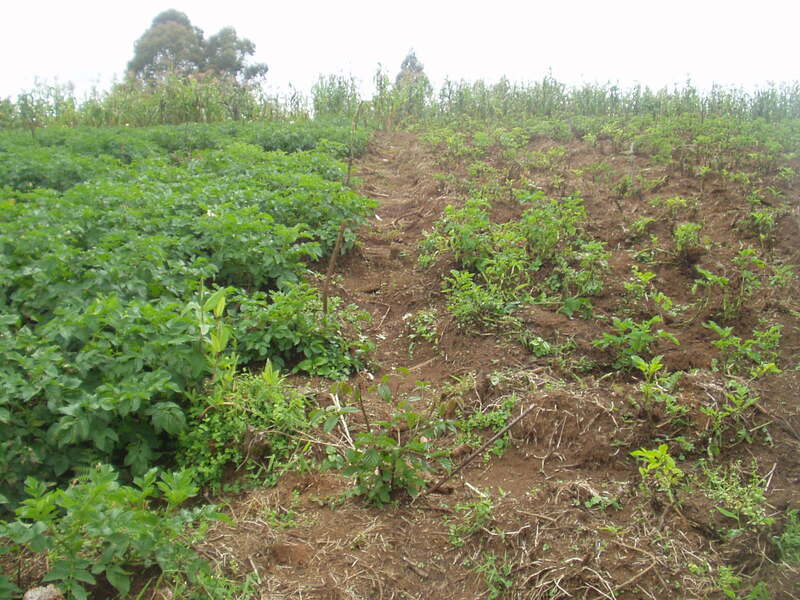 Registered pesticides are used to control weeds, diseases and pests. Pre-emergent herbicides Callisto 480 SC (mesotrione), or Lentipur 500 FW + Command 36 CS (chlortoluron + clomazone) are applied within 3 days after sowing. Due to slow initial growth, the post-emergent application of herbicide in growth phase of 4-6 true leaves is usually necessary. Protection against poppy root weevil is realized through seed treatment with Cruiser OSR preparation. 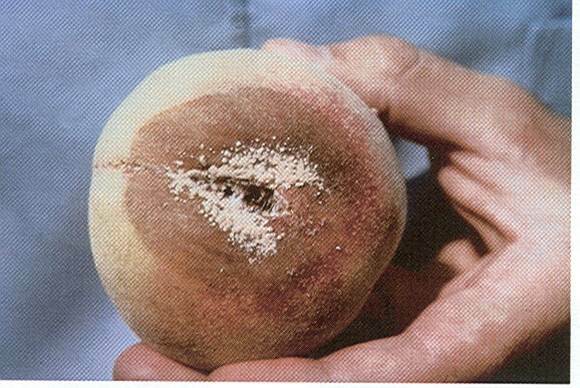 …A dangerous pest of poppy is poppy weevil, against which the protection is aimed at the time of “hook stage”. Among the registered insecticides, Mospilan 20 SP (acetamiprid) and Nurelle D (chlorpyrifos + cypermethrin) are used. Names: Fejer, J., and I. Salamon. Affiliation: Presov University in Presov. Title: Agro-Technology of the Poppy: Large-Scale Cultivation in Slovakia. Source: Acta Hort. 2014. 1036:181-186. Farmers in Florida, South Carolina and North Carolina grow 250 million pounds of cucumbers each year which are processed into pickles. The most troublesome insect pest on cucumbers in these states is the pickleworm. The pickleworm is a tropical pest and lives year-round in Florida and moves up the coast in the summer. Each female lays about 350 eggs on cucumber and related plants. The pickleworm larvae bore into the cucumbers where they eat out a large cavity which is contaminated with the worm’s excrement. Frequent insecticide sprays are needed to prevent the pickleworm from entering and contaminating pickles. “A major insect problem, pickleworms follow spring north each year to lay eggs in the 50,000 acres of cucumbers in North and South Carolina. As summer progresses, the insect becomes a problem in states farther north. The adult pickleworm moths lay eggs in the fields. 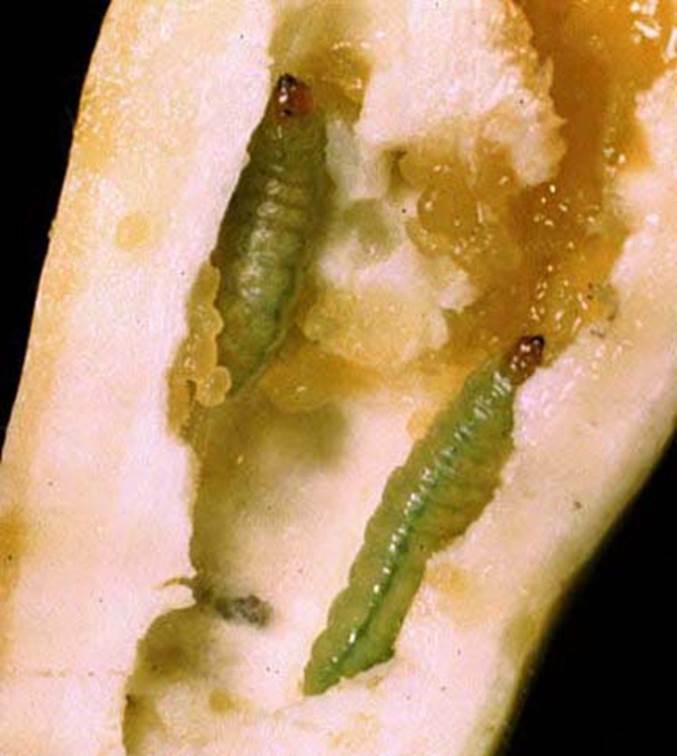 Larvae hatch and eat their way into young cucumbers. Growers start spraying their fields with potent pesticides almost every week for the moths’ 6- to 7-week season as soon as the nighttime temperature reaches 60°F—the temperature the moths follow north. Source: Agricultural Research. 1989. June. 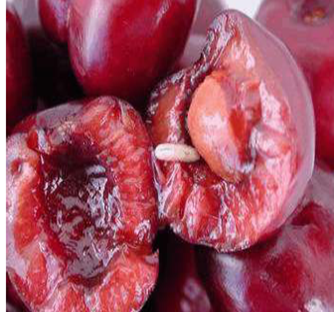 Control of Cherry Maggots Has Become Very Difficult in the E.U. 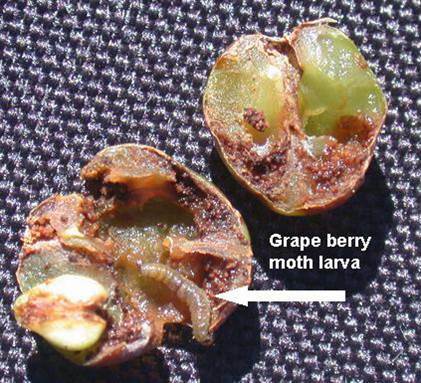 Adult cherry maggot flies deposit eggs under the skin of the fruit and the hatched maggots feed inside the berry. 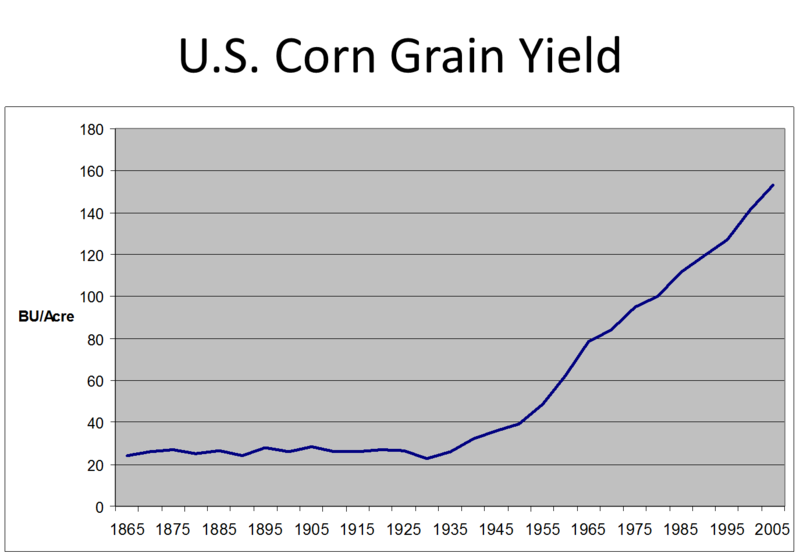 There is zero tolerance for maggot-infested cherries in the marketplace and insecticides have been used for over 100 years. However, in the E.U. with increased restrictions on insecticides and lack of newly-registered products, control of cherry maggots has become problematic. Authors: Bockmann, E., et al. Affiliation: Institute for Plant Protection in Fruit Crops and Viticulture, Germany. Title: Bait spray for control of European cherry fruit fly: an appraisal based on semi-field and field studies. Source: Pest Management Science. 2014. 70:502-509. Pesticide use is very high in the E.U. and policies to reduce use have been adopted. Under consideration are taxes on pesticides. Some people believe that pesticides are not essential and that alternatives are available and, as a result, believe that taxes would cause farmers to reduce their use of pesticides. 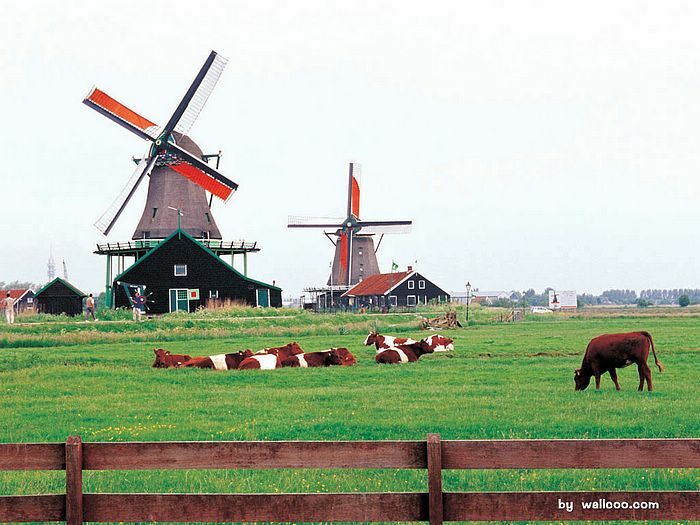 However, recent research in the Netherlands shows that, due to their essential importance, pesticide use is unlikely to go down even with very high taxes. The main effect of high taxes on pesticides would be to reduce farmer income. “Pesticides are integral components of modern crop production systems. Recently, attention is focused on the use of economic incentives to reduce pesticide use and its related indirect effects. The European Union’s (EU) pesticide policy envisages the use of pesticide tax and levy schemes. The aim of this study is to assess the effectiveness of different fiscal measures in reducing pesticide use and environmental spillovers by using detailed farm-level data from Dutch arable crop production. Increasing the tax rate (for both high- and low-toxicity products) to 80% and 120%, total pesticide use is decreased by almost 3% and 4%, respectively. These scenarios show that even high taxes are not able to achieve significant reductions in pesticide use. Moreover, high taxes decrease farm revenues as the 4% pesticide decrease is accompanied by a 22% decrease in farm revenue. Producers’ rigidity in reducing pesticide use, thus avoiding the tax burden, may be attributed to the damage preventing role of pesticides and their capacity to reduce output variability. Authors: Skevas, T., et al. Title: Can economic incentives encourage actual reductions in pesticide use and environmental spillovers? Source: Agricultural Economics. 2012. 43:267-276.